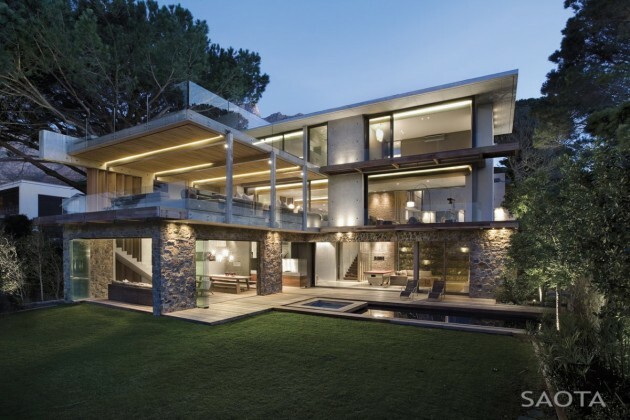 SAOTA – Stefan Antoni Olmesdahl Truen Architects and Three 14 Architects have designed the Glen 2961 House in Cape Town, South Africa. 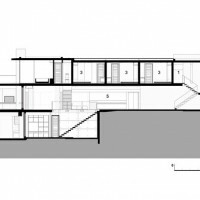 The clients who lived in an existing house on the property needed to rebuild the house in order to suit the demands of their family. 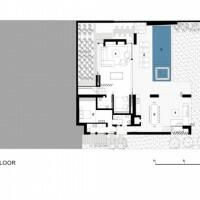 The site on Glen Avenue in Higgovale faces in a Northerly direction, with its boundaries on the South East. 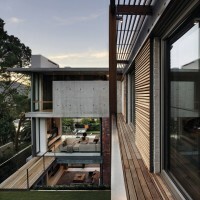 Although the wind conditions are tough, the site’s moderate slope allows the design to engage with different levels of the garden adjacent to the areas of the three level lounge. 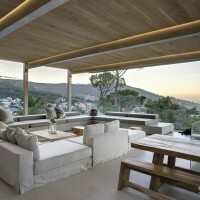 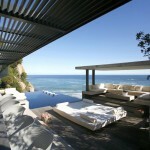 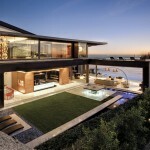 The client appointed SAOTA – Stefan Antoni Olmesdahl Truen Architects to complete the design of a new home. 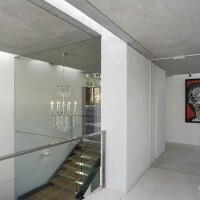 The clients bravely followed their architect’s advice to see the bigger picture and re-start on a clean slate. 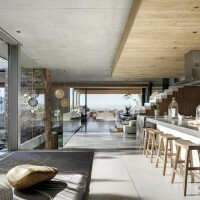 The new home was to respond to the site and garden closely, to allow enough space for the family’s diverse requirements – whilst create separate private spaces within the house, and respond to the fierce winds which seasonally hurtle down Table Mountain yet provide a relaxed, homely character in the spirit of Higgovale. 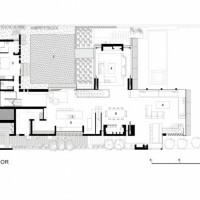 The clients selected to proceed with the Design Development and project construction with Three14 Architects. 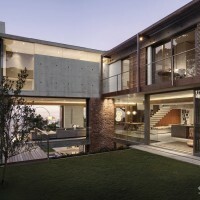 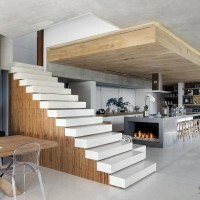 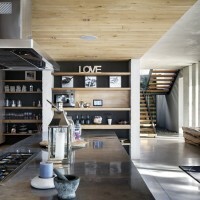 The principal objectives in the design approach was to screen the heart of the home from the South Easterly and create large semi-enclosed gardens which allow the 2 lower levels of the house to seamlessly connect to garden and terraces at all times. 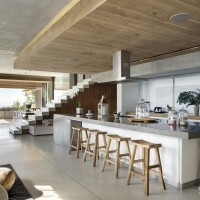 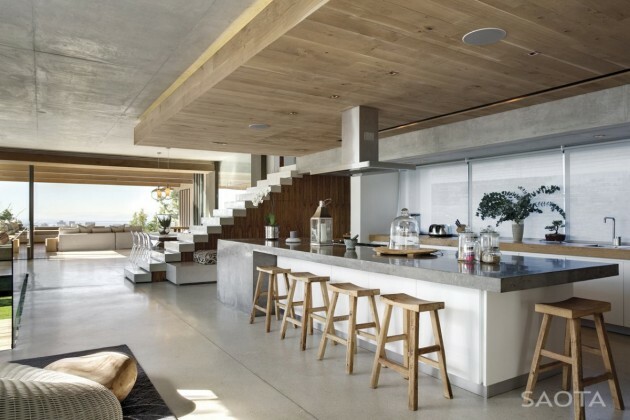 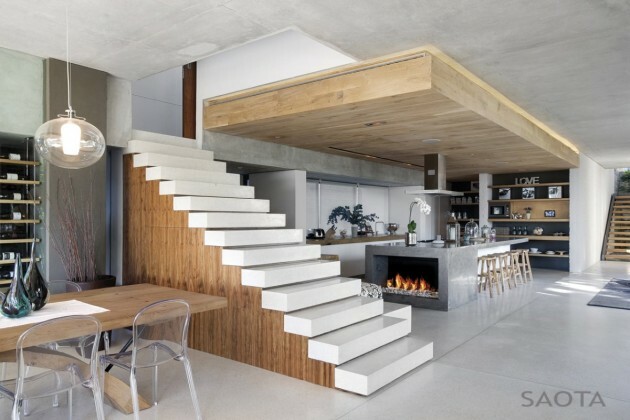 SAOTA relied on robust uncluttered finishes of off-shutter concrete for soffits and various walls, painted bagged brickwork, specialized polished concrete topping and oak cabinetry and ceilings. 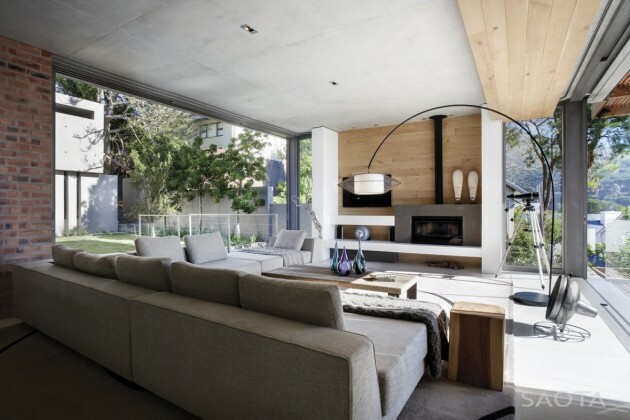 To amplify the sense of openness of the rooms and the gardens, the living rooms have large openings of sliding aluminium doors – this openness is further enhanced by glass handrails to successfully blur the boundaries of interior and exterior. 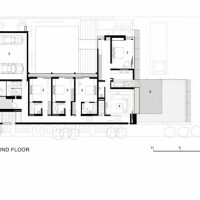 The kitchen remains the focus of the first floor area, and the main outdoor braai terrace is a generous layout with outdoor sitting and dining areas. 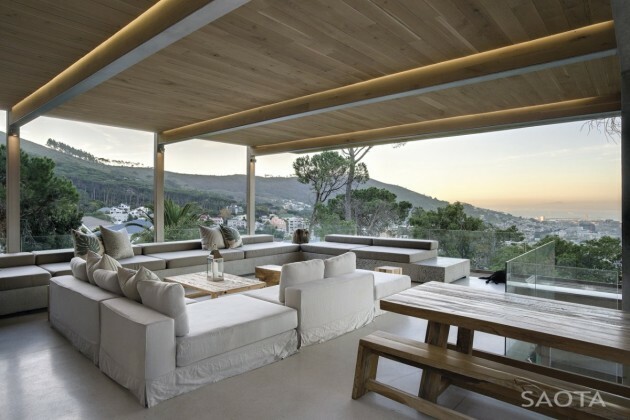 The upper level of the house – to which one approaches on arrival at the property – accommodates 4 en-suite bedrooms with good views and a large study / library area. 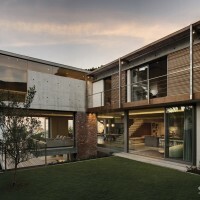 The garage screens the courtyards from the street.